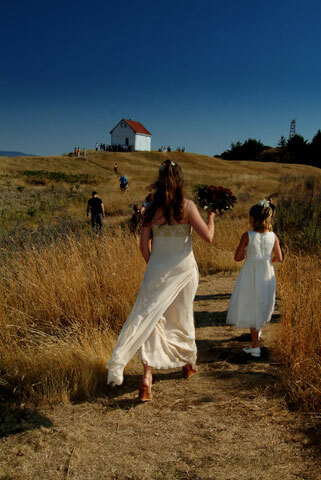 It is funny how we search far and wide to find the perfect wedding or honeymoon destination when in reality, we have some of the most spectacular locations right here in Canada. From coast to coast and everywhere in between, we Canadians are spoiled with an abundance of natural beauty that beckons visitors from all over the world to our shores just to experience a little bit of it. 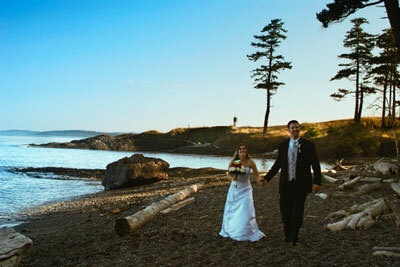 One such corner of the country that truly merits acknowledgment is the gulf island region of southern British Columbia. 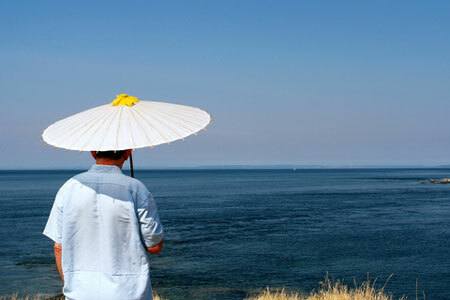 Boasting some of the best climates and most picturesque scenery in Canada, the gulf islands enjoy a serene existence nestled between the mainland and Vancouver Island. 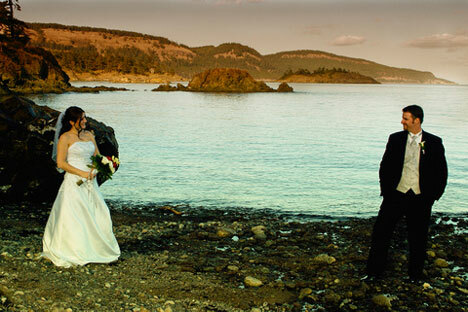 Nancy Angermeyer, of Angermeyer Photography in Saturna has lent her talents to these three island weddings and shares with us the touches that each of these couples used to make their destination wedding unique and unforgettable. 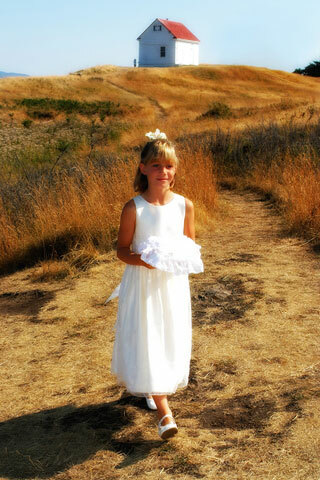 "Another beautiful Poets Cove wedding. They are always fun to shoot.".. 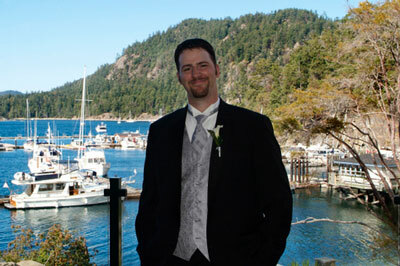 Poets Cove, on picturesque Pender Island, home to the world renowned Poets Cove Resort & Spa, lent its charm to this destination wedding, making it not only romantic but truly west coast. This happy couple used their surroundings to make the day extra special..
"There is a lovely garden which the bride and groom were married in. 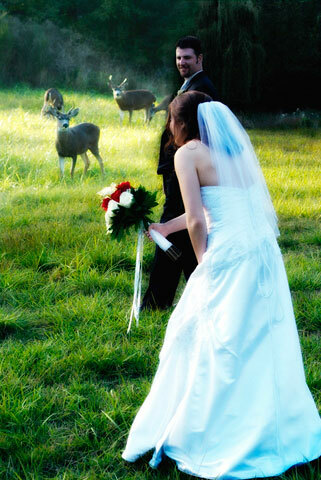 A small intimate wedding with animal noises all around. Everyone got to meet the animals and hang around with them." 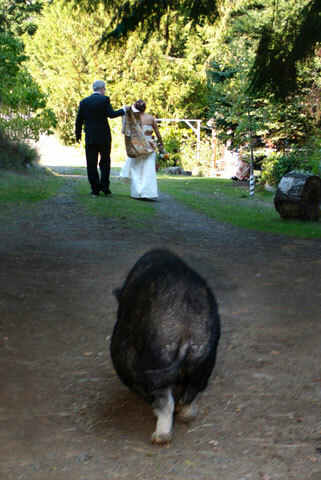 This recent Mayne island wedding takes us to the Mayne Island animal RESTQ sanctuary. This old yoga retreat has been turned into an animal rescue with plenty of animals on hand to witness the nuptials, if your family can't make it over! 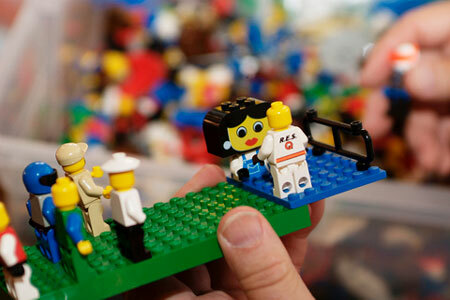 The groom, a lego enthusiast, had lego adorning all the tables and even the cake!.. 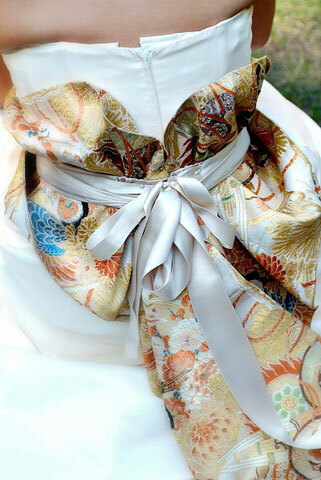 ..while the bride, a Japanese language specialist, incorporated a Japanese train onto her dress. 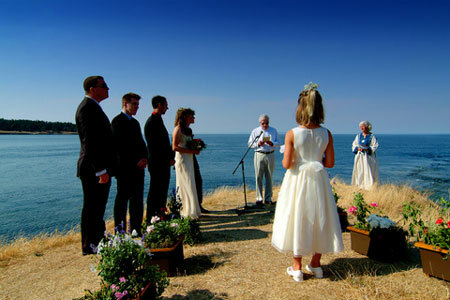 "It was a very bright cloudless day and the local island marriage commissioner performed the ceremony." 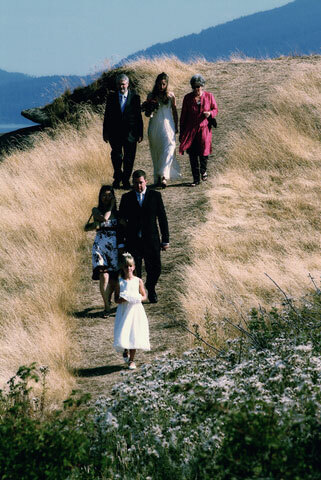 Saturna Island, the southern most gulf island, hosts many weddings itself. For example, East Point Saturna Island and the fog alarm building is and excellent spot, for here marks the spot for the boundary waters between the U.S. and Canada. Another interesting note, this is the location where whales are often seen close to shore. Now that would make a great photo! 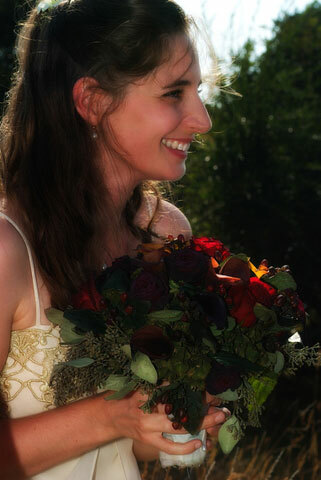 In this particular wedding, the bride's simple dress was accentuated by the dried look of the flowers which was created by leaving them in a too cold refrigerator overnight. Intentional or not, the result is stunning. 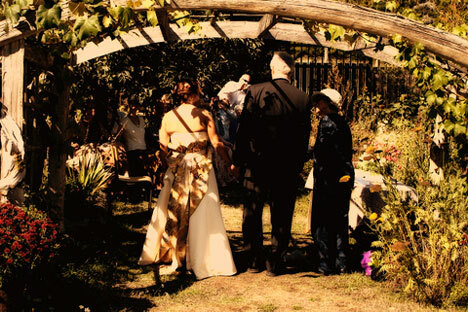 If the location itself isn't inspiring enough, this couple chose a literary theme for their wedding day where the ceremony included a poetry reading and the reception allowed for guests to read excerpts from some of the couple's favourite books. The lights of the mainland or Vancouver island in the distance serve as a subtle reminder that you have temporarily left the hustle and bustle behind and are in the midst of true, natural beauty. Whether you are escaping for a romantic weekend, for a relaxing honeymoon or for taking your vows, the gulf islands will not disappoint.